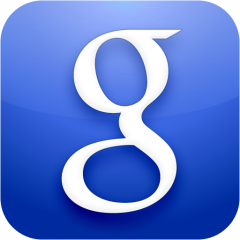 Back in July, Google began revamping the design of its search engine for both Android and iOS. The updates added a less cluttered layout larger touch targets to make searching faster and easier. Many were less than impressed with the layout, but hopefully the changes that Google have implemented for its image database will result in better reception. Google’s newly added feature is an image carousel, which can be used to view multiple image search results with a swipe or three. When searching for an image using Google’s image search, you will now see bigger thumbnails, and more of them. To access the new carousel feature, just tap an image, and the interface will enlarge. You can then swipe left or right to view other search results. Even when loading large images, the image carousel appears to be ultra fast, with no lag between swipes. It’s a great update, one that will have iPad users everywhere using Google Images much more often. You can access Google’s new image carousel by searching for an image on any web accessible tablet.